wow. i can’t believe the time has come for me to write this blog post. the fastest year of my life just flew by! one thing i’ve learned is that time flies the fastest when you watch a newborn come into this world and experience the first year of this little human life. 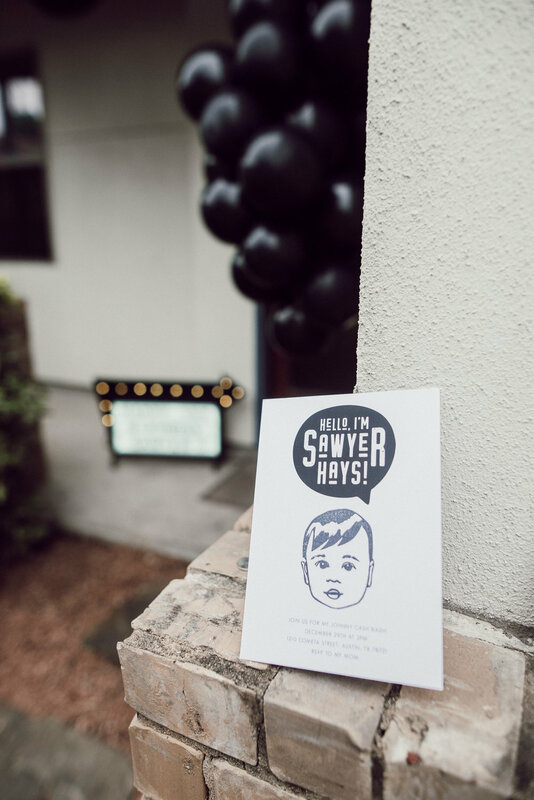 just a few weeks ago, we were all together to celebrate and commemorate those amazing 365 days of sawyer hays! to be honest, jake and i started planning his party probably 6 months in advance. 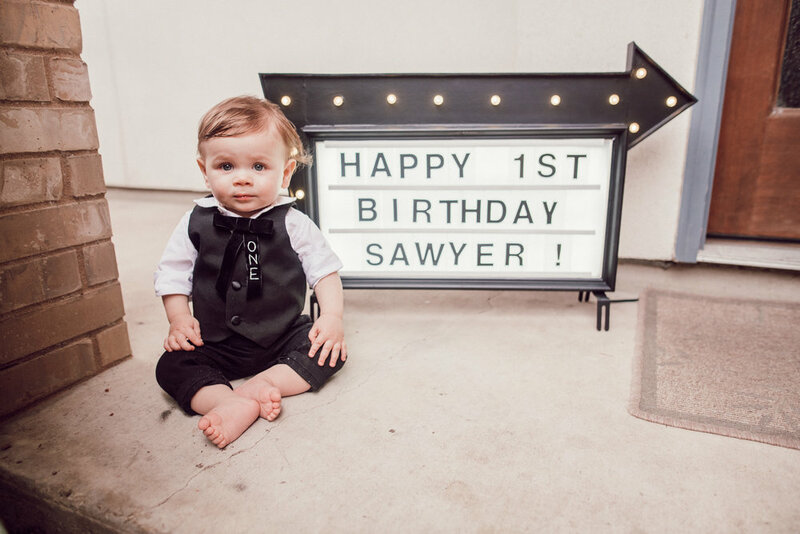 i tend to put a lot of pressure on myself in these situations and especially as a first time mom, even more so as i try to make the very best of these first time moments, and planning his first birthday party was no exception! little by little and bit by bit, it came together exactly as i envisioned it. we came up with the theme pretty quickly, as my husband’s love for country western and folk is through and through. (we are texan after all) so, click click click —- hello pinterest. There was actually only one other party on pinterest in the entire world of pinterest that was johnny cash themed (believe it or not) and i actually borrowed couple things from it and but put my own spin on it. we were in texas for the holidays, and sawyer’s birthday is 4 days after Christmas, so it was the perfect opportunity to celebrate it with all of our beloved friends and family in austin. we rented a cute airbnb and invited 40 of our nearest and dearest over for some homemade barbeque, birthday cake and fellowship. the most beautiful gift we could have ever received was indeed the fellowship of our families, all pitching in and helping make this happen in our sweet home away from home. from my brother in law, the resident barbeque expert, making his delicious pulled pork sliders, to my stepmom and mother in law making their own family potato salad and beans recipes, respectively. my little sisters were on personal assistant duty for 24 hours straight, helping me craft and create up until an hour before the party started. having the hands of our loved ones chipping in was probably the most beautiful aspect about this party. for instance, my brother and i conceptualizing the creation this amazing miniature marquee sign. (below) it’s a take on a lightbox, but it’s bigger and in the style of a marquee sign you might see out on the side of the road. my brother hand created a larger lightbox legit from scratch using wood, led lights and an acrylic sheet, he cut out that arrow from plywood, framed it, painted everything and used a string of bulb christmas lights to create this magnificent work of art! I found a thick, translucent stencil paper at hobby lobby, and used vinyl sticker letters to make the individual marquee letters you slide into the sign. It turned out to be teamwork at it’s finest. I couldn’t have been more happy with my brother’s handiwork. the theme was “johnny cash” but with a mid century modern twist on western. i wanted it to be very personalized and have special touches, starting with the invitation. I had been researching hand lettering artists on instagram for a while, and even reached out to a couple, but as i’m also very economical, i really couldn’t budget spending $150 on just the design alone. (thats not including printing, envelopes and postage!) So, i found a really reasonable shop on etsy who helped me come up with a cute design, and i had pretty early on bookmarked this artist via instagram that hand draws portraits and hand cuts them out into rubber stamps! 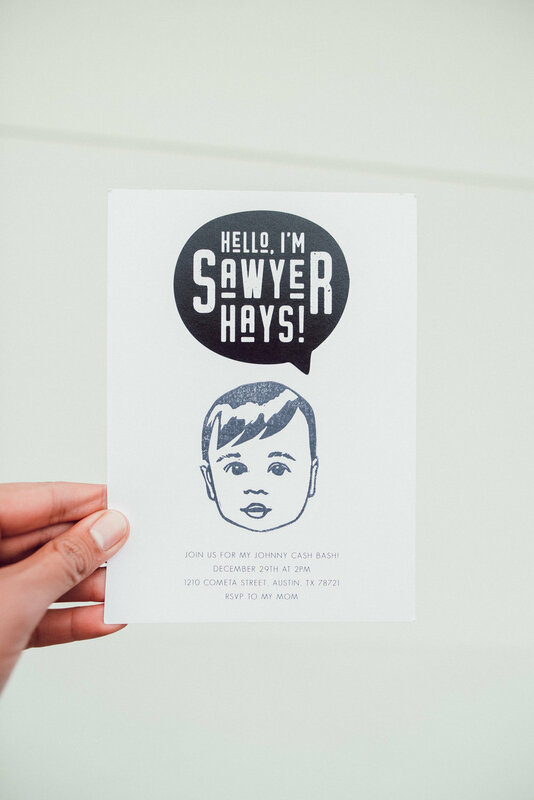 with the help of these two ladies, i was able to create a modern but vintage looking invitation with a throwback to johnny cash (his signature phrase) while also including the cuteness of the birthday boy! and truth be told, it was really fun to stamp his face onto 40 invitations. 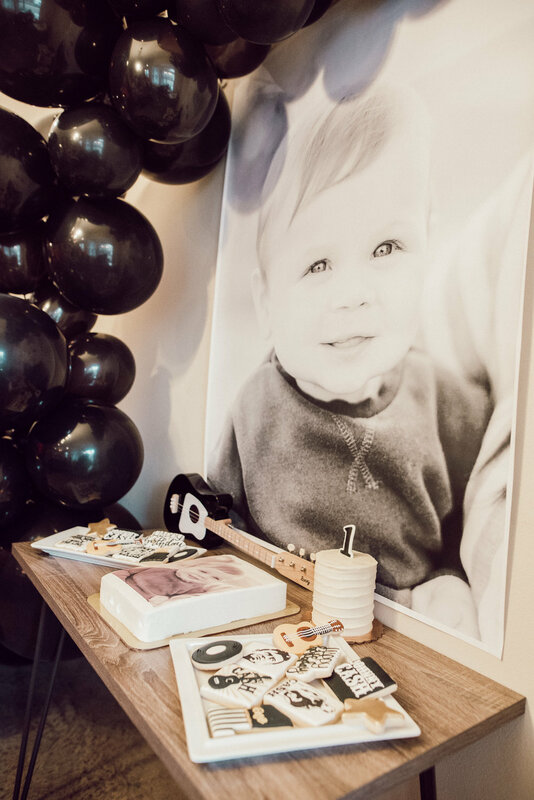 my brother’s marquee sign and this diy massive monochromatic black balloon instillation was the perfect and most festive way to welcome our guests to his johnny cash bash. how handsome is sawyer’s dada? my little sister and i pined over the party favors for weeks. that one party i found on pinterest had this amazing idea of a “personal effects bag” from prison, so i gotta give credit where credit is due. however, their label was in very much in diy fashion with minimal words using a standard typewriter font and i was very inspired! with the help of my brother jimmy and his go-to photoshop skills, i was able to create a very realistic label that may have looked like something from an actual prison, with cute details like the little girls getting white bandanas and the little boys got black. 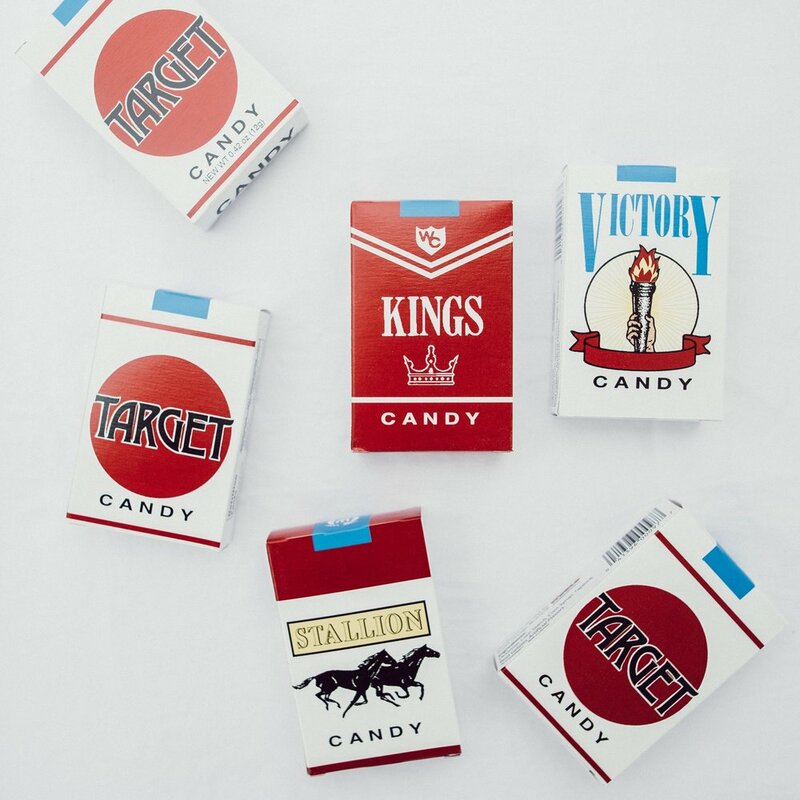 the candy cigarettes were also a huge hit! it was so stinkin’ cute, and i know the other parents got a huge kick out of it as well. 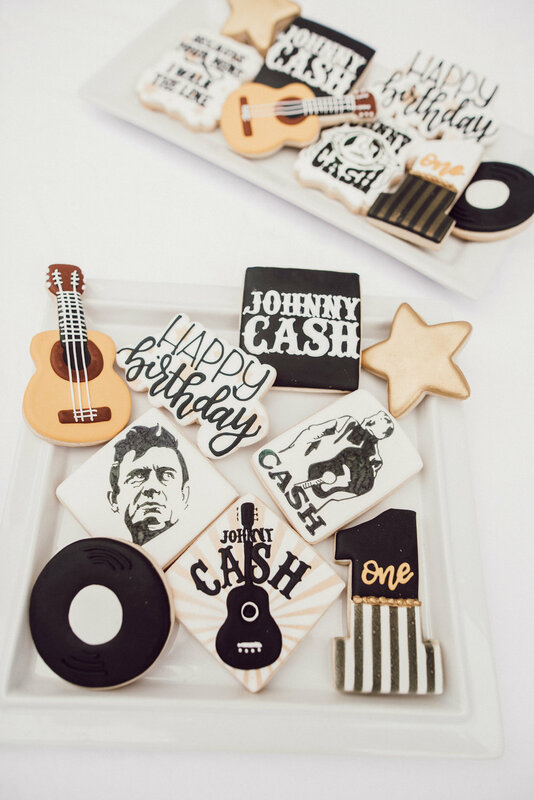 the johnny cash cookies were made by an amazing cookie designer who is a go-to for my sister’s and she was amazing! i sent her some of my ideas and she totally brought them to life! (like johnny’s face!) i unfortunately delegated my baking responsibilities to one of my favorite places to order cakes for parties: HEB! 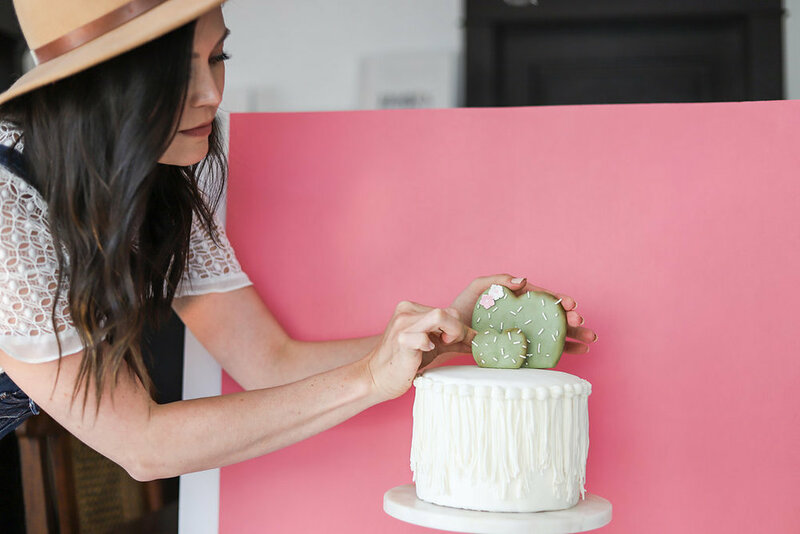 they are delish and they killed it with just a simple sheet cake of his precious face! and it was only $25 bucks! 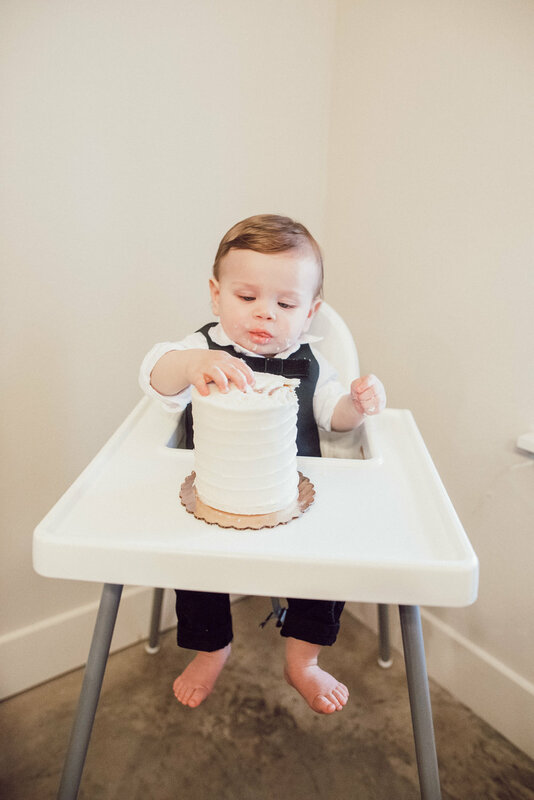 his very simple (but delicious) smash cake came from a local bakery in austin. i bought that candy “1” cake topper (via wilton) from michael’s and colored the inside in with a black food marker because i couldn’t find any just plain black/white 1 candles! this is one of my most favorite pictures of my little boy that day. and that little fist! 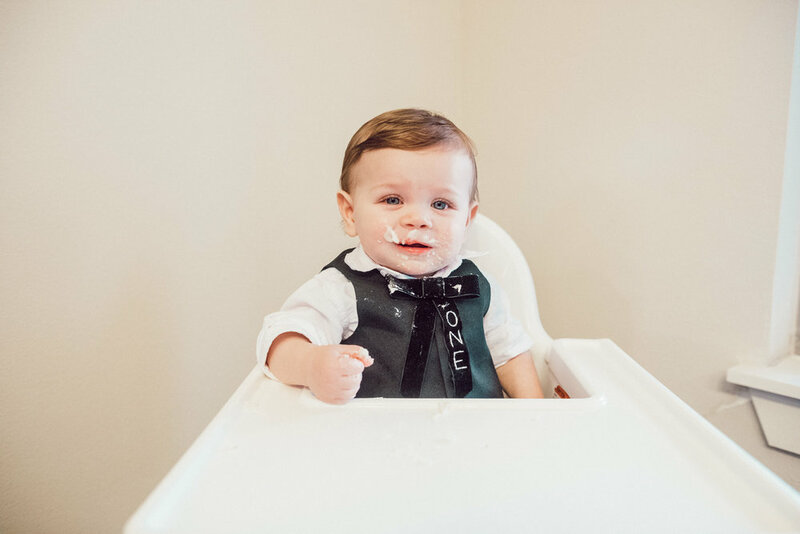 also, i love this picture with icing all over his little western kentucky colonel tie that i made him, and hand embroidered the word ‘one’. probably the biggest hit at the party was this mugshot photo backdrop we made out of a canvas drop cloth, electrical tape and iron on numbers. the little cousins (and parents) got a huge kick out of it too! so freakin’ fun! and cheap! under 20 bucks to do it yourself. it was so cute and hopefully not a foresight into the future and what trouble these little rascals will can get into together! overall, the party was a huge success. 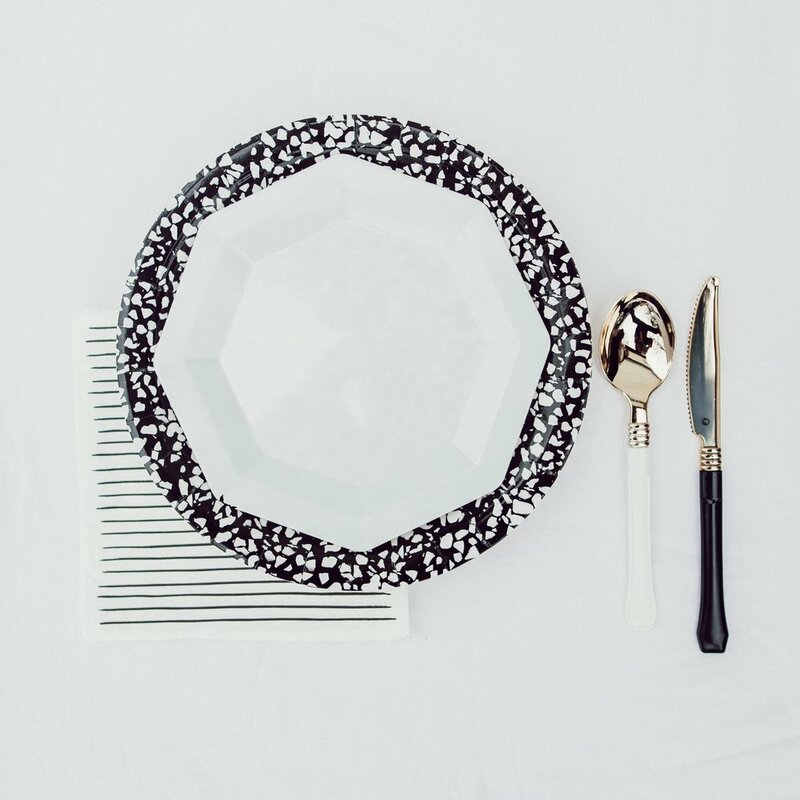 it was both equal parts amazing and also anxiety-ridden (as i am a party planning perfectionist freak) but looking back on it now, i am so happy with how amazing that day was. this little boy is so truly loved so much! (below) my right hand man (who helps bring all my crazy ideas to life) my little sister tessi, who was putting my nephew down for a nap when that family photo above was taken. also, couldn’t resist that adorable pic i snapped of my birthday boy!